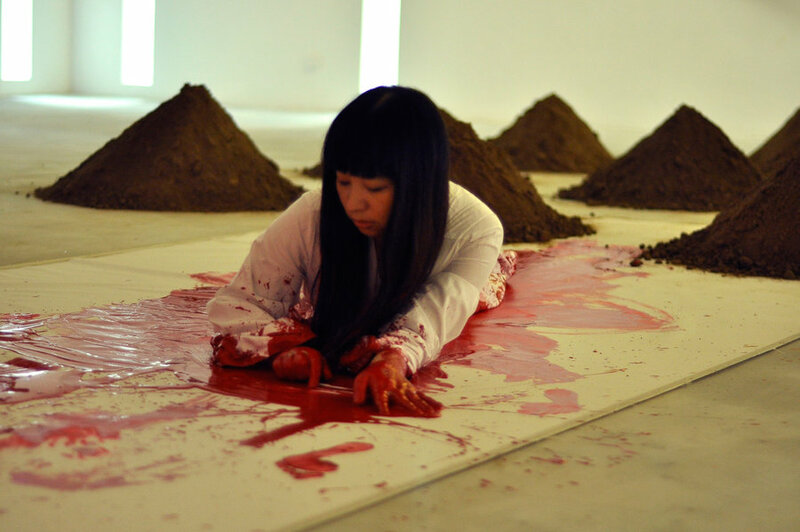 “Nowhere to Say Goodbye” was a performance Li did in Dingshun Contemporary Art Space in Beijing. 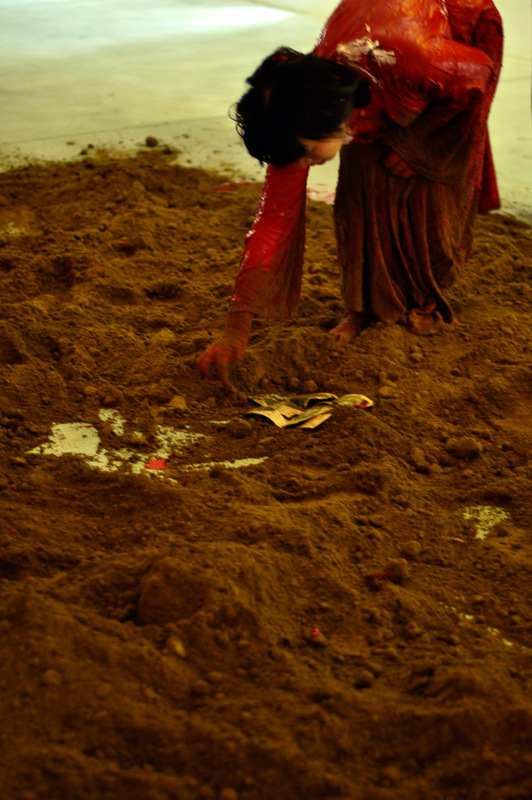 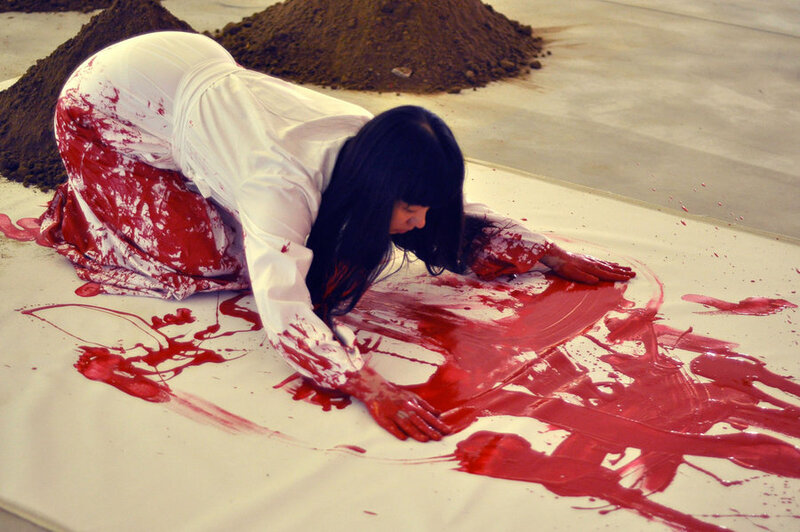 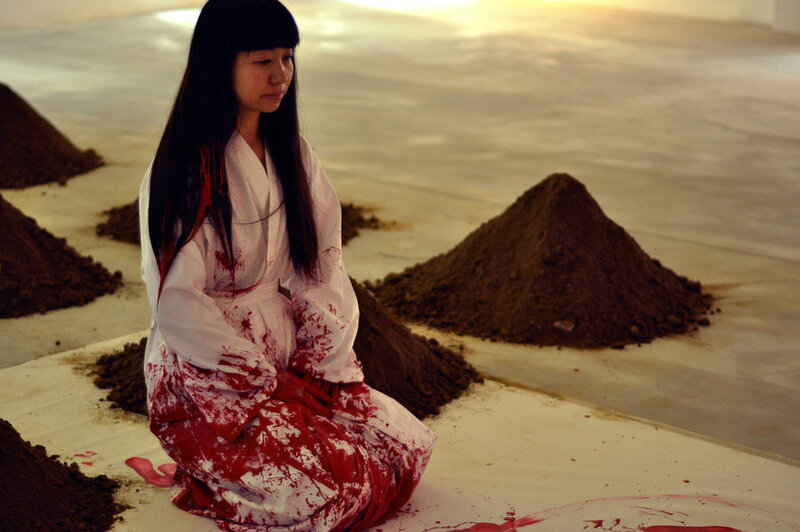 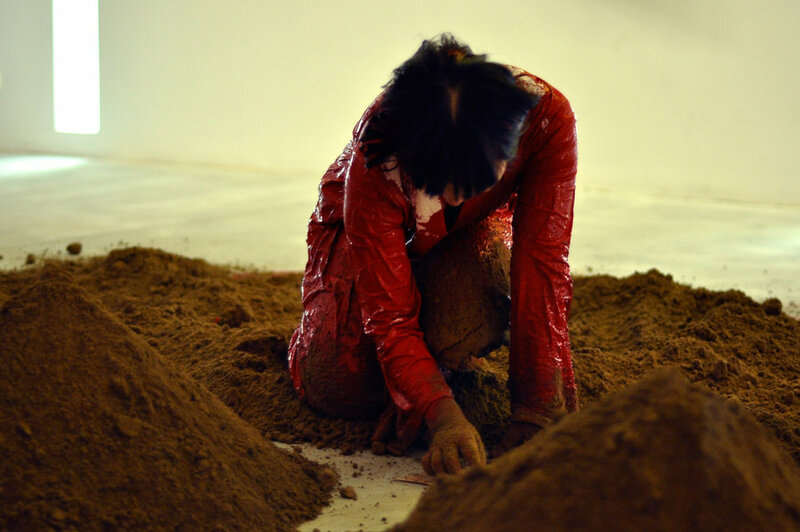 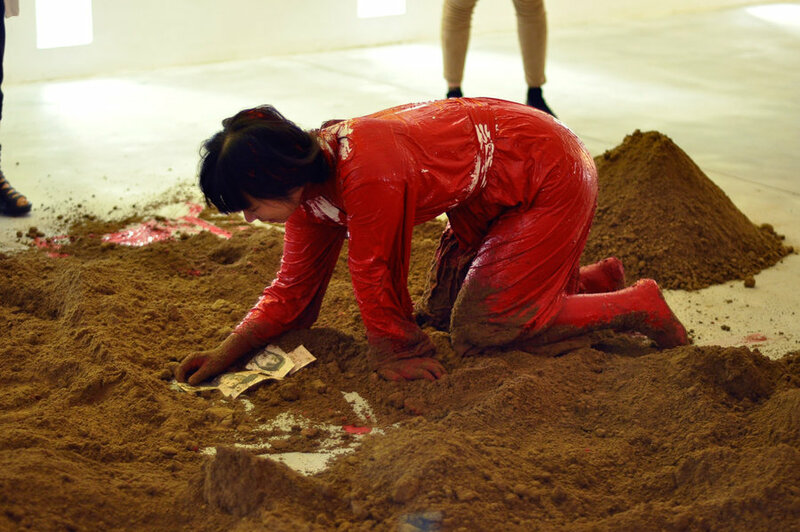 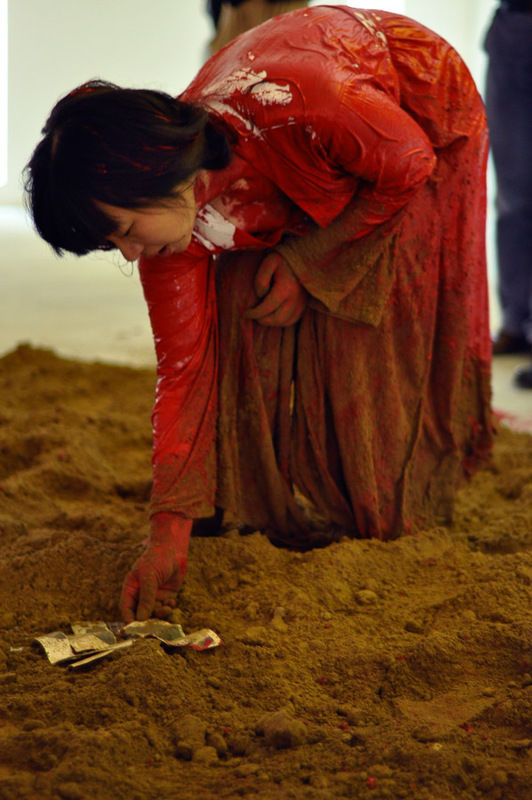 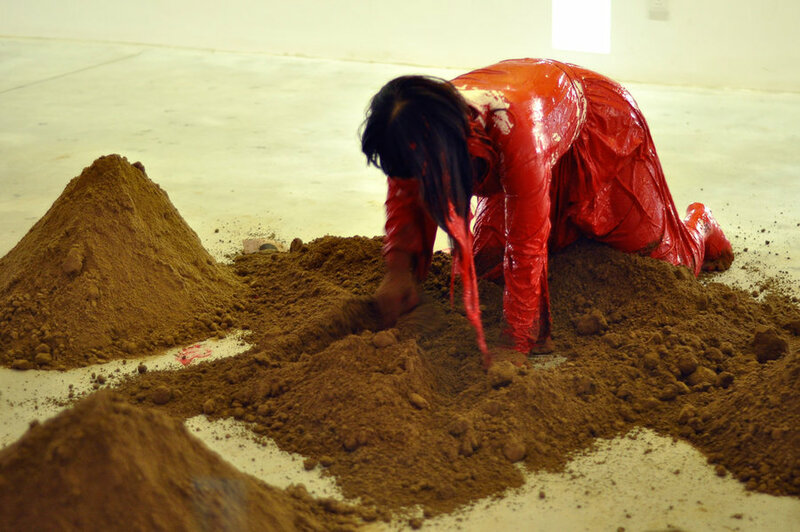 Consisting of two parts, the performance started when she poured red pigment onto a white cloth on the floor. 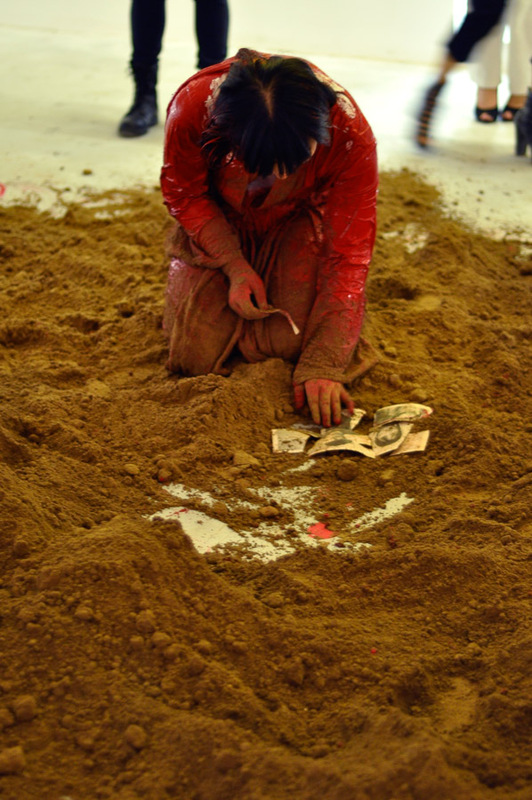 Then she wrote the numbers of some years between 1950 and 1989. 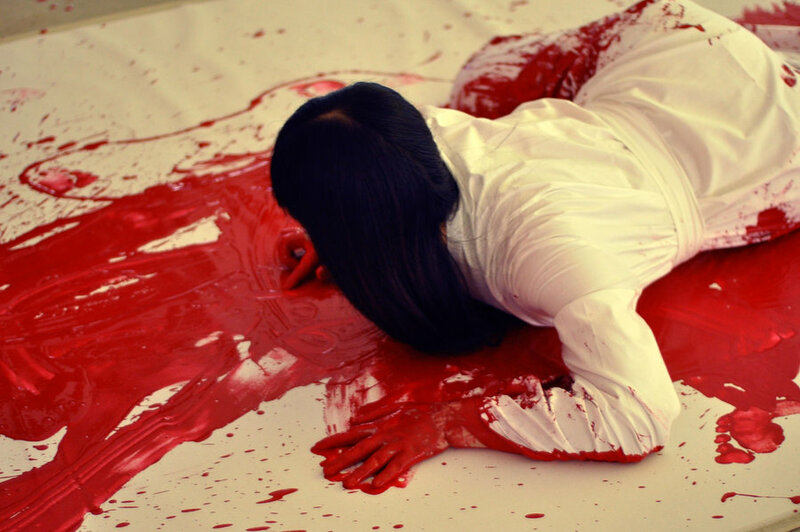 As she wrote, her body moved along, erasing the years, so in the end nothing was left on that red cloth except the traces of her body. 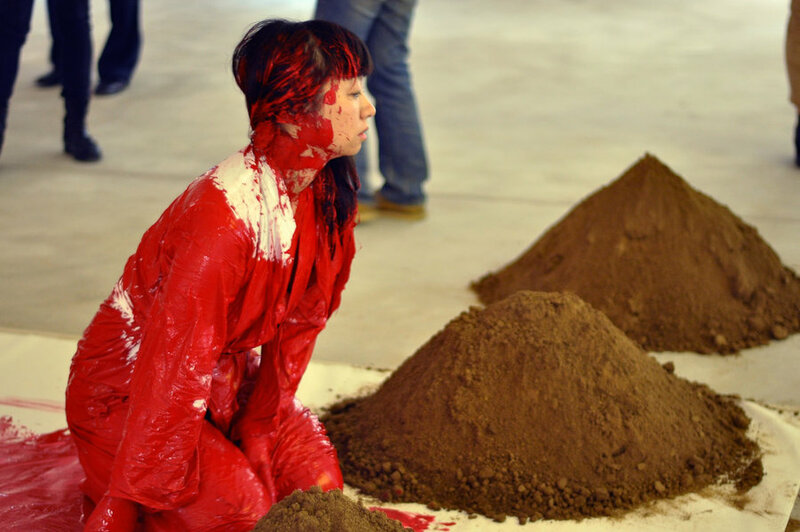 In the second half, the audience found her, dyed in red, coming to a “graveyard” made up of 12 mounds. 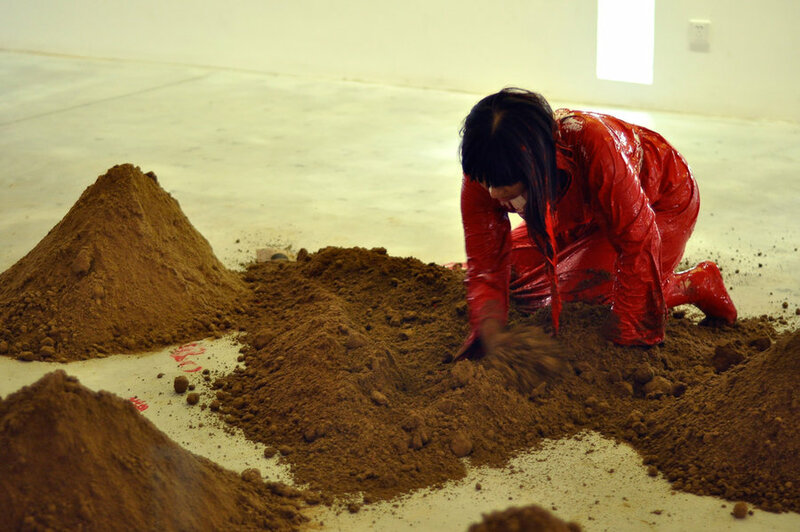 She tore a family photo into 12 pieces and asked the space staff to bury them separately in the mounds. 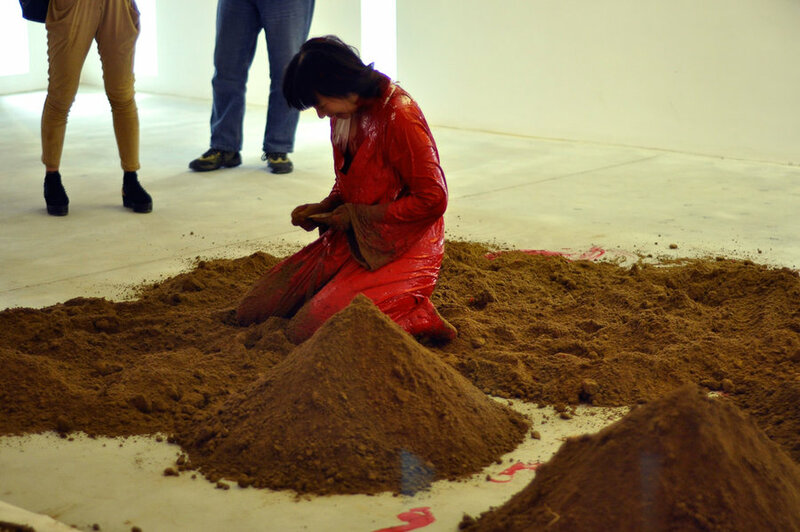 She then dug these “mounds” open with her hands, looking for those fragments in an attempt to piece them together into a family photo again, but it turned out to be an “amputated” one. 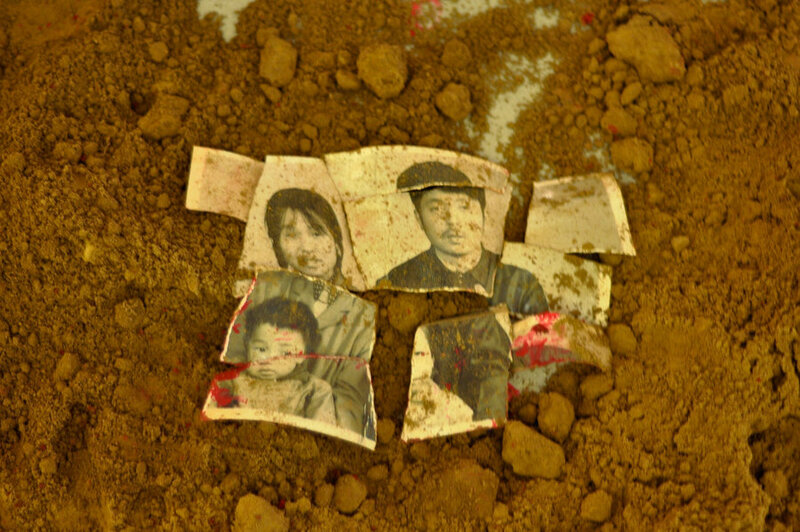 This work merges the miserable memory of a country with that of a broken family.